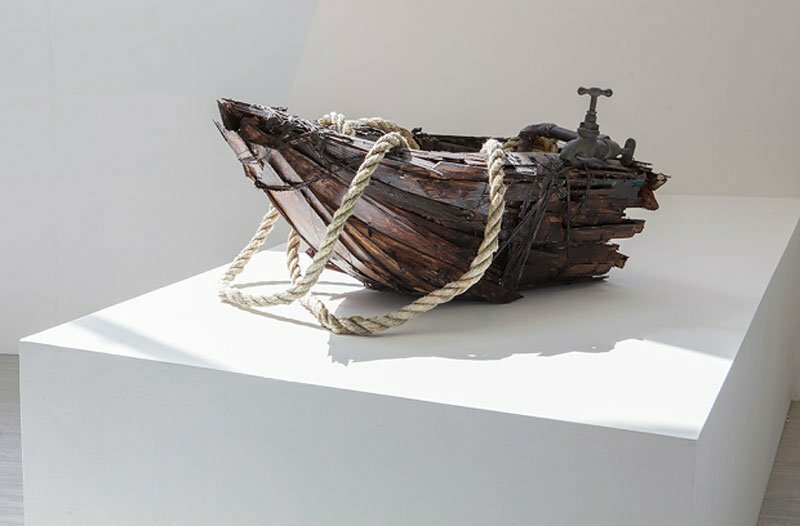 Catherine Ross has been interviewed by MoMa.co.uk after her success at the Woon Prize early this month, its a gives a great incite into her practice and where her work comes from. The full interview can be read below or on the MoMa website. Catherine’s third year studio at Gray’s School of Art in Aberdeen. 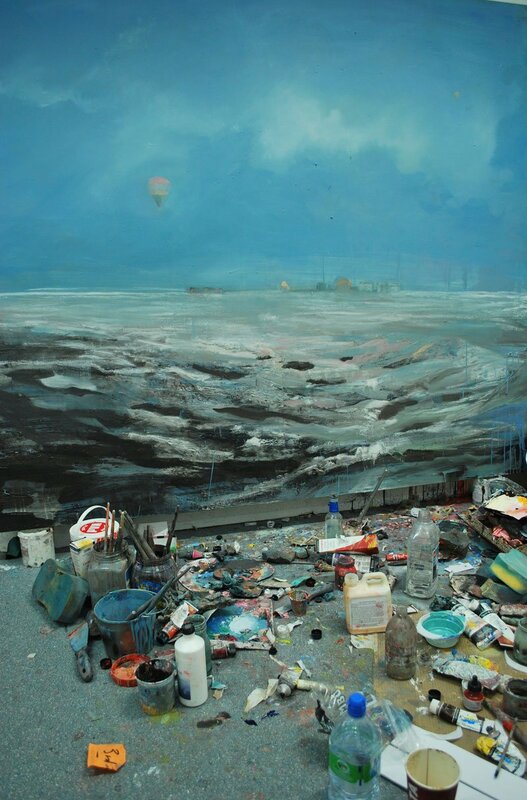 First of all congrats on your £2,500 prize from the Woon Foundation. As one of only ten shortlisted artists from across the UK what was your experience of being nominated and taking part in the exhibition? It did come as a surprise to me, and my tutors, when I read the news of being shortlisted in such a wide-spread competition. It was a new experience for me to be part of an exhibition installation with artists who had such different approaches to their practice. The entire experience was not just rewarding but valuable as a learning experience to me as a new graduate. 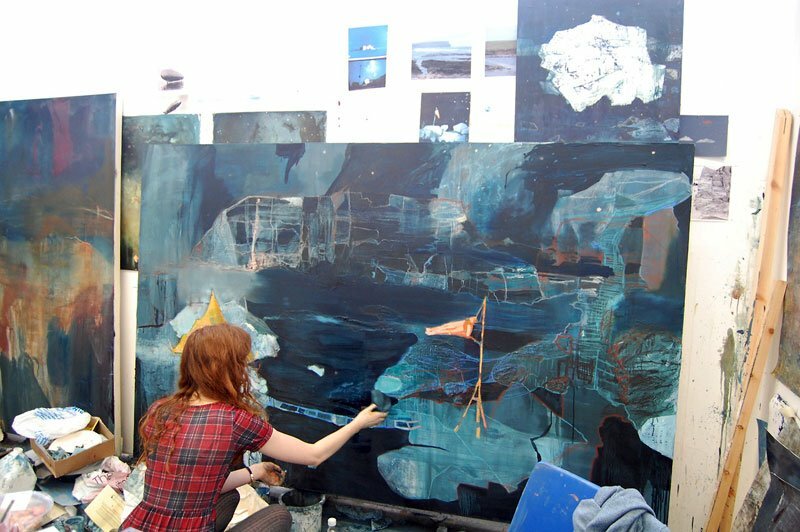 Catherine at work in her studio in her final year at Gray’s. Your paintings seem as much an exploration of memory and imagination as they are constructions of a sense of place. Can you talk about your process of working with photographs while drawing from your memories? Early in my third year, I had just finished making two paintings of fire. I had used footage and photographs of a burning box model to produce them. It was after this use of an experience and photographs, when I begun to make models from my childhood photographs of the coloured ice-blocks. I think I was using models, in both cases, to produce something which was tangible. I could then hold an experience of it to revisit for painting. Catherine Ross – For The Washing Or The Waves. Washing basket, wood, rope, varnish. 3ft x 2ft approx. I enjoyed your account of making igloos from large coloured ice blocks when you were little. You’ve also talked about man-made structures in vast landscapes having a toy-like quality to them. Is play and model making an important part of your sculptural work? I have always built small models as an aid to my painting process. I find the toy-like quality of the models, and the scale of them, to be somehow quite significant. I view any make-shift human constructions that exist within extreme landscapes to have a slightly infantile quality, dwarfed as they are, in comparison to their immense locations. I therefore use the subject of ‘toys’, as a visual resource for the objects that appear within the paintings. I suppose on one level what I’m doing is likening the process by which mankind’s constructions are installed within extreme landscapes, to playing with toys. 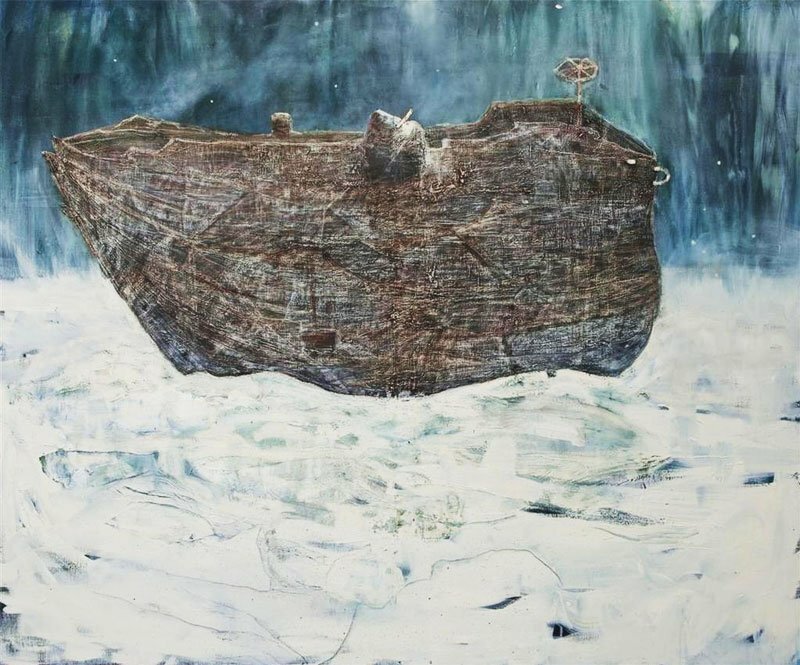 Catherine Ross – Yellowknife, oil on canvas, 6ft x 7ft. You’ve described the work in the context of ‘wishing ourselves away’. Is there any hesitation to return to Canada and keep hold of these idealised impressions? I feel rooted to Canada in some way, and it this thought is which has driven my work. It only feels right to go back, and grant myself this wish. 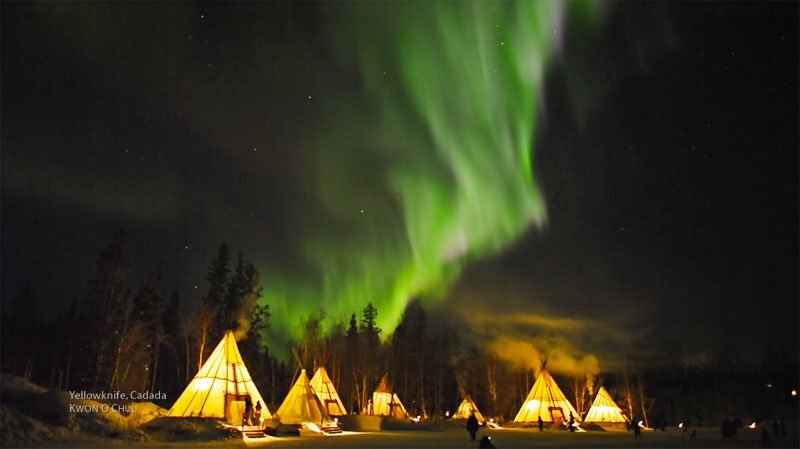 Still of the Aurora Borealis filmed by Kwon O Chul in Yellowknife , Northwest Territories, Canada. Watch on Vimeo. What does the idea of ‘North’ mean to you and how does that reflect in your work? I am caught by the idea of wanting to venture in to ‘the unknown’, and by the fact that many people might experience this feeling. I maybe am attempting to paint what that ‘unknown’ place could look like to me, currently. 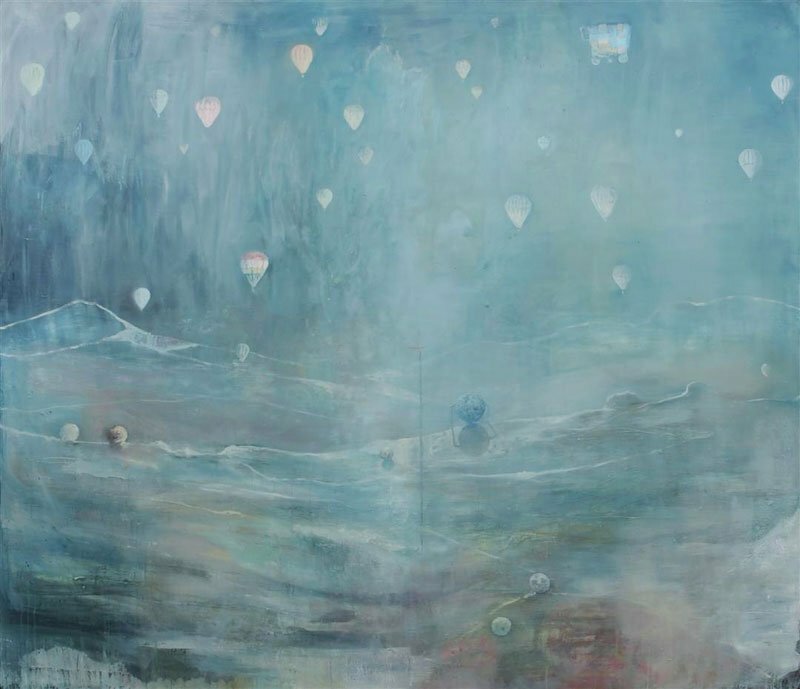 Catherine Ross – Bound, oil on canvas, 5ft x 6ft. A visit to Orkney inspired some of your recent work. Did you feel at home in its wide open spaces and do you have any other Northerly destinations in your sights? In Orkney I could experience another type of northern wilderness. I wanted to see how this might change affect my work and studio practice. Any very cold places are all on my list. After graduating from Gray’s School of Art earlier this year are you working in a studio now and do you have any plans for further study or residencies? I have my own studio at home, and I have a few ideas for possible residencies too. 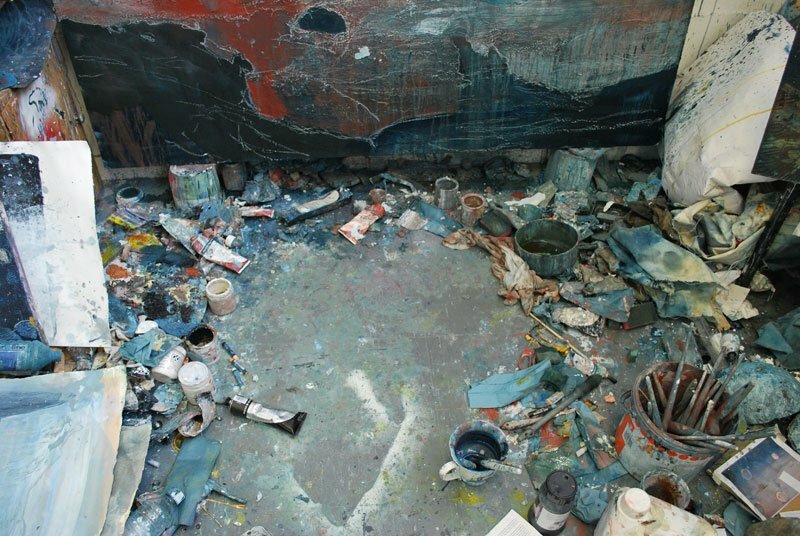 Photo from Catherine’s fourth year studio at Gray’s School of Art. Could you describe the Visual Artist Unit (VAU) and your involvement with them? Some from VAU are from the class of 2013, who were above my year at Gray’s. Our studios were always close to theirs, and I always admired many of those students’ good work. The graduates have worked hard to form an artists’ collective, which will allow them to put together shows, workshops and talks. They also aim to raise funds to help develop and grow the project through a campaign on IndieGogo. 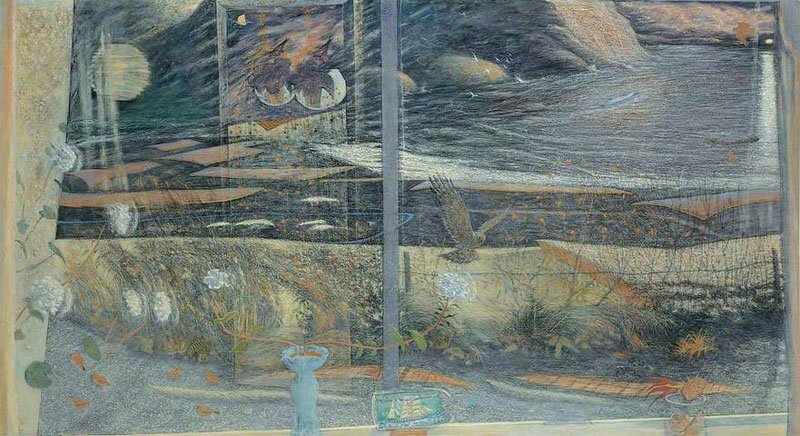 As you’re showing in the RSW Winter Exhibition at the Royal Scottish Academy are there any Scottish artists you particularly admire? I appreciate the paintings and drawings by Sylvia Wishart. I remember in my second year when the collection of her paintings held by Gray’s was put on show. I was very taken by them. To see more of Catherine’s paintings and sculptures see our Artist to Watch feature. Nice article by Laura Smith on STV & Catherine’s artist statement for the Woon Prize is great too. You can keep up to date with Catherine’s work via Twitter.